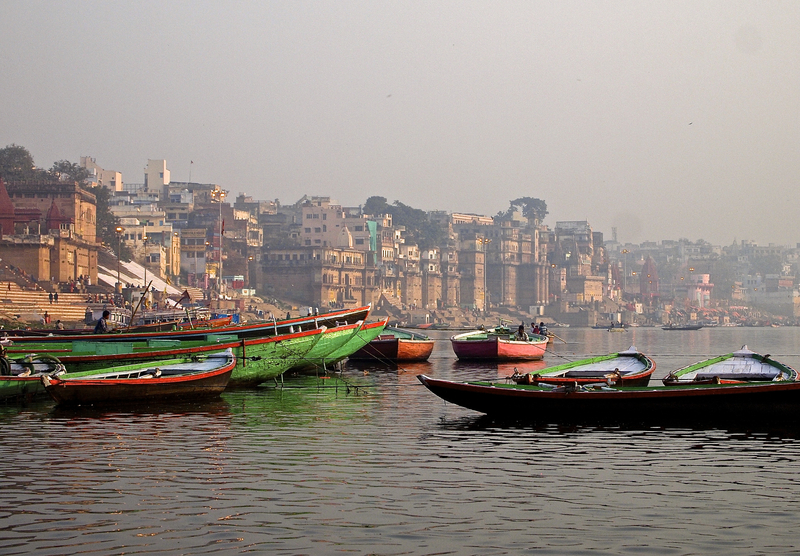 The impact that Varanasi made on me was extreme. 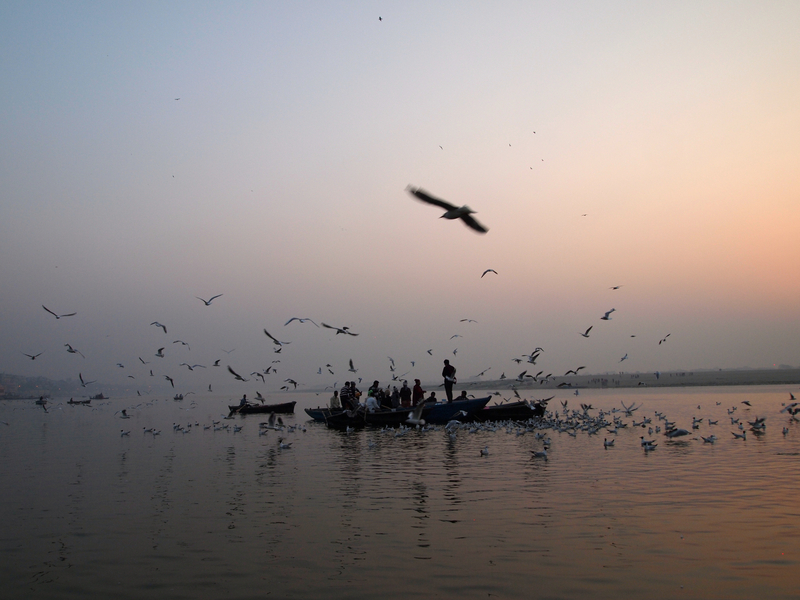 I was moved by the spiritually of activities along the Sacred River Ganges. 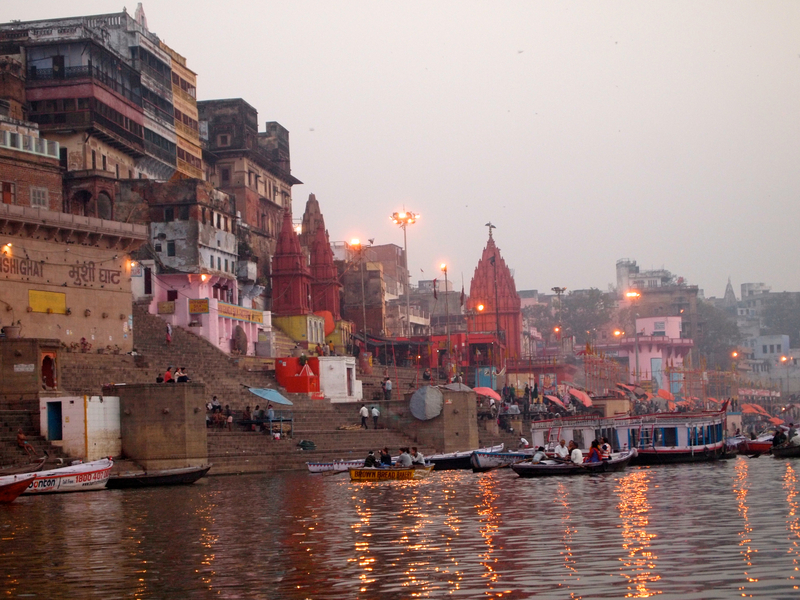 I had been aware for many years that Varanasi was the site of the dead being set a drift on the Ganges. What I did not know was the preparation that was made for each individual human to be sent on his or her last journey. At first I was appalled by the thought of this, but then I let myself venture in to accepting another culture’s tradition of honoring their dead. 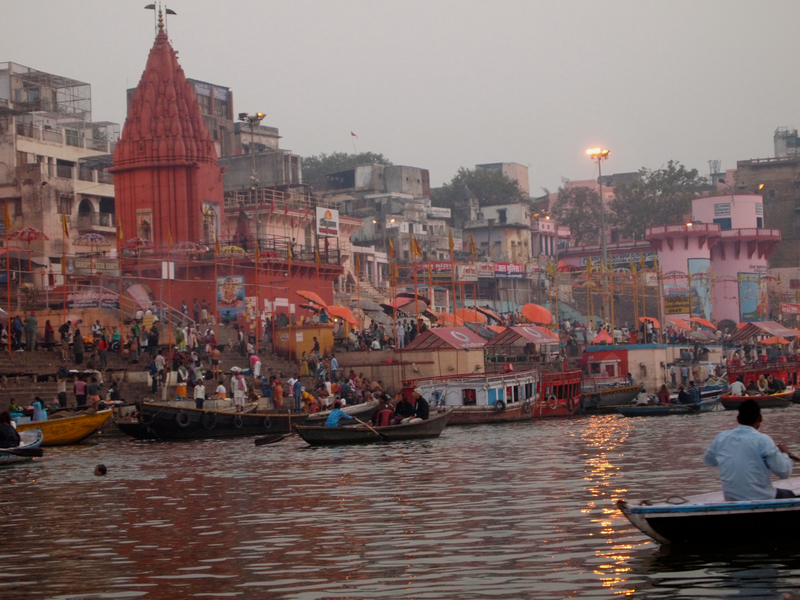 We had the opportunity to rise early on February 21, leave the comforts of Homestay at 6:15am to venture down to the River Ganges. We boarded small boats moments before the sun started its climb towards daylight. The sense that we were seeing where preparations were made to the deceased before they cremation. Once cremated, the remains were then set off on a bamboo frame for their final journey down the sacred River Ganges. What we saw that morning was the place but not the preparations. The cycles of birth into this world and death from this world are usually not at the top of my consciousness, but here in Varanasi, they were. Activity was everywhere on the banks of the Ganges and on the River itself. Young boys doing yoga on bright orange mats, men and women bathing in the Ganges and people on shore praying resulted in a spiritual jolt for me. I sensed that each living individual was embracing the joy of a new day. In many ways the whole scene was a form of meditation. I became one with the moment, the hour, the day and the place. After the difficult night train journey from Agra, Lenore, my niece, and I were relieved to arrive at our accommodation, Homestay in Varanasi about 7:30pm on February 19. A former residence had been converted to accept overnight guests in private rooms. Our room opened up to a type of courtyard. The dining room was hub of activities. We had the option of joining other guests in the dining room for breakfast which was included or for a cost the other meals. The meals were delicious prepared by Malika and the ambiance was great. The portraits hung in the dining room only added to its charm. Our host, Harish Rijhwani, was also a travel agent. He helped me obtain tickets to Jaipur, a hotel in Jaipur and onward train reservations to Udaipur and Delhi. He was most helpful and he took my budget into consideration. 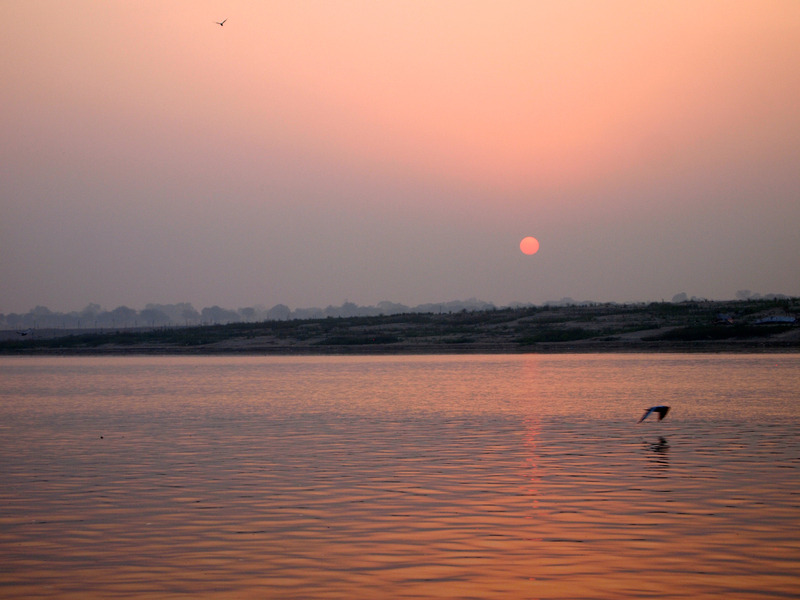 All in all my stay in Varanasi was wonderful but, of course too short. I did go on to spent one additional night in Sarnath but I will relate that soon. 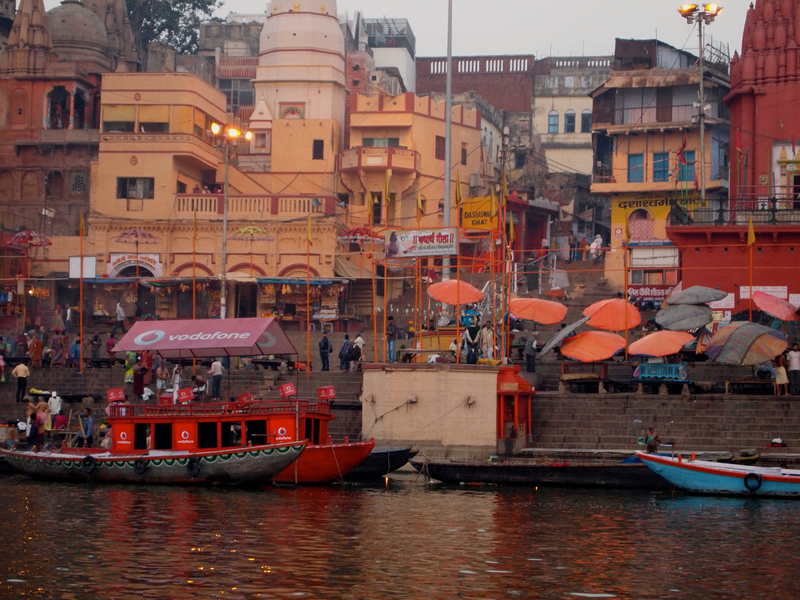 This entry was posted in Experience the Moment, Travel in India and tagged Acceptance, Inspiration, meditation, place, River Ganges, Traditions, tranquality, Water. Bookmark the permalink.